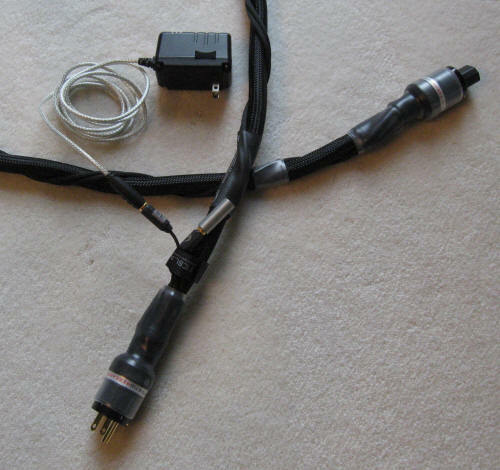 It has been well over ten years since my original purchase, but some of my favorite interconnects and speaker cables were the original Synergistic Research Looking Glass. At that time, my system consisted of several extremely expensive components including a massive solid-state amp and some very inefficient planer speakers. These products were all the rage and like many I was seduced by all the excitement and the strengths of planer speakers. I was pleased with the overall performance of this combination, but some would argue that the sound was slightly lean and cold. I will let your imagination paint the picture for you. Rightly or wrongly, I had invested most of my available funds into these components and had very little left for cable. These days, I know that cable technology has evolved to such an extent that this investment strategy is not the most productive for best sound. After a tremendous amount of research and audition time without success, I stumbled upon this upstart company and this very reasonably priced product. For this specific system, it was a no brainer compared to cable two and three times the price. Looking Glass provided a perfect combination of warmth and detail to complement these products. Synergistic Research continued to evolve and move forward as a major player in the industry. It was with great curiosity and excitement that I learned that there would now be another opportunity to try two of their most interesting products. I am a big believer in subwoofers. I was a skeptic and typical audiophile snob until I experienced a pair of properly set up REL Stentor III subwoofers (thank you Allen Hagger of Sumiko). My gosh, talk about revelations. You have read it all before, but my ears confirmed what many have stated. Not only did these subwoofers enhance the quality of bass output, they also clearly improved the sound at all frequencies including soundstage and imaging. I currently own the REL Studio III. I hope to own two in the very near future. As stated above, I have also owned a pair of REL Stentor III and a pair of JL Audio F212 subwoofers. Each have their own strengths and weaknesses, but the REL Studio III is far and away the finest sub that I have used in my system. More weight. More slam. More texture. It also provides the cleanest integration and smoothest transition with my main speakers. Sorry for all the rambling. Where am I going with all of this? Well, the preferred cable connection for all REL subwoofers is directly from the amplifier speaker terminals to the sub. 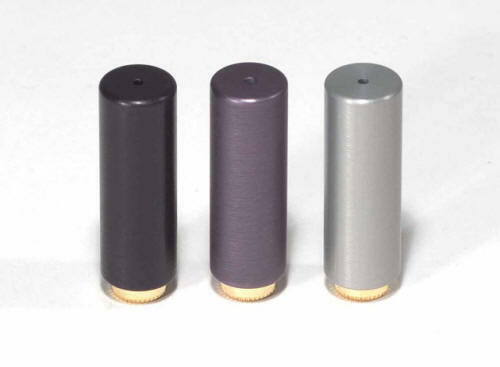 A neutrik connector is utilized on the subwoofer end and three standard connections (bare wire, banana or spades) are typically used on the amp end for right, left and neutral. No crossover is required though phase, loudness and low pass filter controls are provided. This connection or cable is the key to this review. 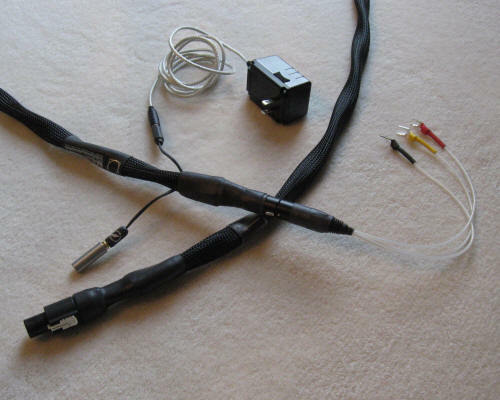 A serviceable cable is provided by REL when purchased, but several after market cables are now available including the Synergistic Research TESLA LE REL SPEC Reference. The Reference follows the design philosophies and implementation of the entire Tesla lineup. Please see the Synergistic Research website for a more detailed explanation. Unique geometry, active shielding and proprietary conditioning are all keys to this implementation. You can change the voicing of your system via three different active shielding circuits or modules called “Enigma Bullets”. Fit and Finish for the Reference is exceptional. Though substantial in diameter and weight, I found the cable easy to maneuver and dress around the extensive wire configuration in my system. List price for a 3 meter length is $1320. Custom lengths are available. Kubala-Sosna Elation balanced interconnects; speaker cable and power cables are used throughout with one exception. The Transparent Audio MM Power Cord was used to drive the REL Studio III. System synergies and personal taste are critical when evaluating high-end audio products. This review is based on my subjective requirements, my subjective ears and my specific system. These combinations of components are only a few data points of many that exist out there. For further insight into my personal biases, check out the “Meet The Writers” section of Positive Feedback Online. Please consider my comments and analysis appropriately. After 600 hours of burn in, I was ready for some serious listening. This included 200 hours on each of the three Enigma Bullet options. After much experimentation, I found that the Silver Enigma Bullet sounded the best in my system. For my ears, it offered the cleanest and tightest sound throughout the frequency spectrum. The change in performance from the stock cable was fairly dramatic. I was forced to recalibrate volume and low pass filter settings on the Studio III to find the sweet spot again. The sound stage was still huge and extended, but now everything was more focused and locked in. At first I thought that I had lost a little air and venue ambiance, but when inserting the stock cable back into the system, I quickly realized that this was not the case. With the Reference, there was less smearing or phasiness. On most recordings, you had additional transparency and more of a three dimensional effect. Bass performance was more detailed with additional slam and speed. At this point, there was no increase in depth or weight over the stock cable. Despite this, everything seemed more dramatic and real. I found myself sitting upright and drawn into the music more often than past listening sessions. Midrange output seemed sweeter with more realistic timbre and texture. Highs still had plenty of speed without losing any splash or sizzle. There was a very slight golden hue that seemed to envelope the over all sound. Again, some might find it quite amazing how a top-notch subwoofer and well-matched cable can impact all frequencies and performance criteria. After considerable time with the TESLA LE REL SPEC Subwoofer Reference Cable, I substituted the TESLA SE T3 power cord for my Transparent Audio MM power cord. Burn in time before serious listening was about 400 hours. Again, I selected the Silver Enigma Bullet for the best sound. The T3 lists for $900 at a length of 5 feet. Several off the shelf and custom-made lengths are available. Most performance variables stayed the same. Maybe there was just a slight improvement in transparency, but it was difficult to really nail this down. The most obvious change was in slam and weight. I do not have the proper equipment to measure it appropriately, but it felt like bass output was reaching down another octave or even more. When I say weight, I am not talking about a more bloated and rounded shift in sound. Speed and detail were both tight and solid as ever. Bass output was just more dramatic and pronounced. It just sounded more real. One of my favorite recordings is the Classic Records 45 RPM four disc reissue of the Chicago Symphony playing Scheherazade and conducted by Fritz Reiner. This 1956 recording has been a staple for many years for many audiophiles, but the 45 RPM reissue brings the sound to another level. In my system, the addition of the REL Studio III in conjunction with the Reference and T3 cables made me feel like I was listening to this recording for the first time. The depth and width of Orchestra Hall was now clearly defined and locked in. I became enveloped in a three dimensional sound that would whirl around in waves of excitement. When the violins, cellos and bass kick in during the first movement, you can feel it from head to toe. Again, we are not just talking bass performance here. All frequencies are impacted and improved. Soundstage is the best that I have experienced. Stanley Clarke is considered by many as one of our most important American jazz artists. His abilities on electric and acoustic bass are legendary. I have not read much about his 1988 recording entitled If This Bass Could Only Talk, but it can provide a true system test—especially on bass performance. Well worth checking out. Tracks 1 (“If This Bass Could Only Talk”) and 9 (“Basically Taps”) are closely miked so you can really dig deep into the performance and sound of Stanley’s electric bass. Both are performed with Gregory Hines while tap dancing. This might sound strange, but the effect is very dynamic and exciting. With the Reference and T3, I can clearly hear the difference between the CD and LP releases. Using his infamous Alembic “Brown Bass” axe, the texture and timbre of the instrument is much better delineated and defined. String tone is warm and detailed. You can hear the reverb of the bass and the echoes of the tap dancing bouncing off the walls of the recording venue in all directions. Rip roaring and intoxicating.